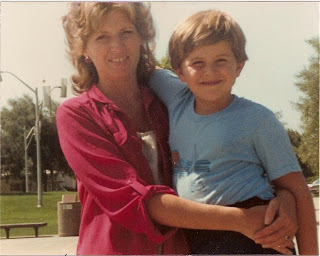 Six years ago this month, my best friend Tony lost his mom, Angie, to ALS, commonly known as Lou Gehrig's Disease. She was a beautiful, smart, loving, courageous, and hilarious woman who inspired everyone who knew her. Every September we honor Angie by participating in the Bay Area's Walk to D'Feet ALS, which helps raise funds in support of internationally driven cutting-edge ALS research and community-based patient services programs. This year Steve and I are unable to walk because of this crazy hike we're on. But as you know, we are actually walking quite a bit! Given this, we have decided to dedicate the month of September (our last month on the trail) to Angie and ALS. As you know, we haven't made this a hike about causes or sponsorship, but because Angie touched our lives, we are asking you to support us in this last month of the PCT. We figure if everyone gave even $10, we could make a big difference in the fight against this horrible disease. If you follow the link below, it will lead you to our personal page where you can easily donate. As you can see, we have made our goal $1,000, but we really think it would be great to to raise a dollar for every mile we will have walked by the end if this trip. Moreover, if you feel motivated, we welcome you to join the For Angie team and walk on Sept. 13 at Vasona Park in Los Gatos. Thank you for all the support you have showed us up to this point, and for the support we know you will show in our efforts to raise money for ALS.